Microsoft's entry into the games console market, the XBox, comes in at a time with competition from the two major players, Sony (with PlayStation 2) and Nintendo (Gamecube). The last console I had was an Atari 2600, which used cartridges and had 4k of memory to use. I occasionally played my brother's Sega MegaDrive a few years later, but I never tried the PlayStation or any of the other consoles. Microsoft only lent the unit for review for four days, and due to a lack of units available for delivery, had to be collected from them. This meant I only had the console Friday evening, through the weekend, to be given back on Tuesday. This gave me only two and half real days of testing, so coupled with the fact that I did not have any press kit or review notes, meant my review would note be as detailed as I would have liked (I usually have a month to try out hardware and software). The console comes with one controller as standard (you can plug in four for multiplayer games), and most shops will have a deal to bundle some games with it. The review version came with Halo and Project Gotham Racing (both sold separately for around £44), but there is an XBox Xplosive Bundle that includes two controllers, Halo and Dead or Alive 3 (for £400). 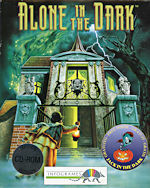 Technical specifications were not supplied with the box, and there was no press pack, so I had to look on the Internet to find them out. The heart of the machine is a 733MHz CPU and a custom-designed 250MHz graphics chip, dubbed X-Chip, designed by Microsoft and Nvidia. The unit has an 8Gb Hard drive, plus the ability to use 8Mb memory cards for smaller game saves. The hard disc is also used to store audio music, but more on that later. It uses 256 audio channels with full 3D audio, MIDI, and GLS2 support, and the games come on standard DVD discs, with a capacity of 4.5Gb (single sided, single layer). Unlike the PS2, the XBox does not have the ability to play DVD Movies as standard. You have to buy the Official DVD Movie Playback Controller (£28) which plugs into the unit. 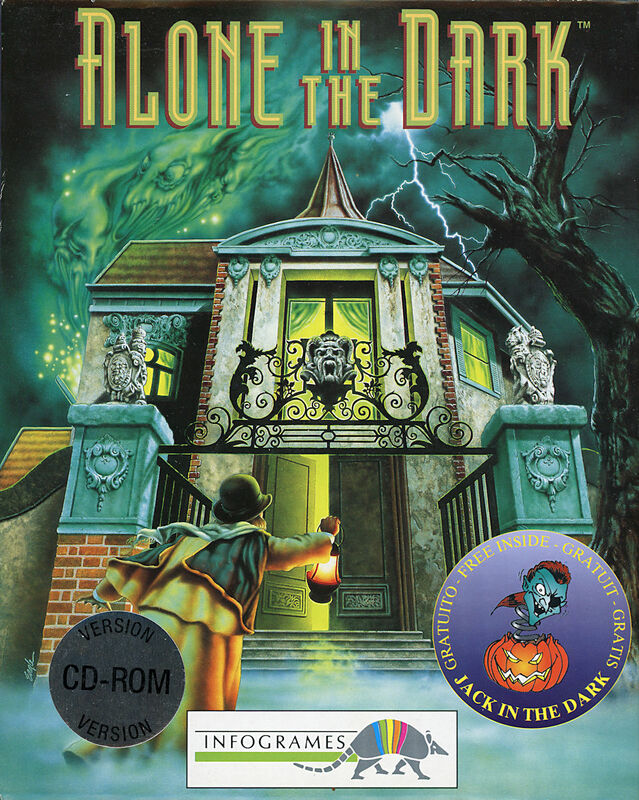 This will enable the XBox to play Region 2 discs (on the U.K. version), but there is supposedly a Region X disc that you can buy that will enable you to watch any DVD Region (although not converting the American NTSC signal to the British PAL, so you would need a television that can cope with the different standards). 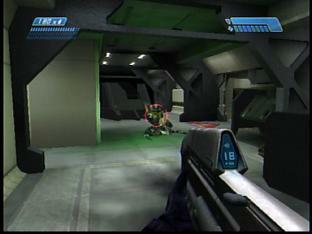 The main console is quite large, and must be used horizontally (the PS2 can be placed vertically). Apart from the Ethernet port and power socket on the back, the only other connection is the non-standard video out socket. This uses a supplied cable to output to three phono leads for video and stereo audio, and this in turn can connect to your television with the supplied SCART adapter. For older televisions you can buy an RF adapter to plug the console into the aerial in socket. The only other buttons are the small power button, and eject button for the disc tray (where the XBox logo is on the front). There is a circular light around the eject button to indicate when the unit is on (solid green), loading a disc (flashing green) or too hot to use (orange). The controller comes with a generous length lead, which plugs into the first port on the front. It is very big, with an eight way pad and joystick on the left, two buttons in the middle (back and start), six buttons on the right (white, black, X, Y, A, B) another joystick, and two trigger buttons underneath. 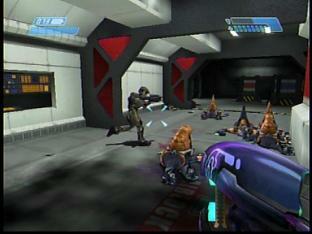 It also incorporates a rumble device like the PS2, to add feedback when playing games. Although the controls are well laid out, the depth of the controller means that it can become uncomfortable to use after a long time. Maybe this was part of the design to stop gamers playing endlessly, but I don't think so. There are also two expansion slots in the front of the controller, which you can plug in memory cards for game saves. 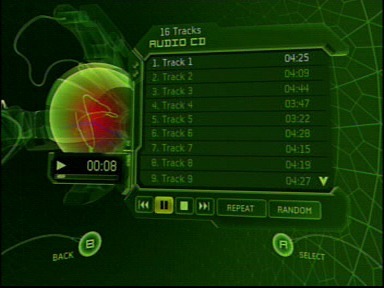 The XBox has a built in Audio CD player, which has all the standard CD features, and shows a small visual random display when music is playing (like the visualisation window in WinAmp). It cannot play audio CDs burnt on CD-Rs (although I did manage to get the odd one to play), and it doesn't play MP3 files either. With the large hard drive you can copy Audio CD tracks using the Soundtrack feature. You select tracks from the Audio CD in the machine, which are copied to the hard drive and placed in a soundtrack folder you can name. You can build up a collection of tracks from different CDs and play them when you switch the unit on without a disc inserted. 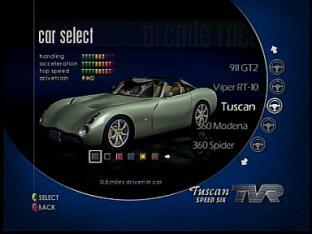 You can also select the soundtracks to be played within games if the game uses this feature, which Project Gotham Racing does. Thought by many reviews to be one of the best games you can get for a console, this is a mission based 3D shoot-em up like Half Life or Unreal. As with both games that I tried, the loading time is very quick. It was only a few seconds before the Logo appeared on screen and the introduction started. Once you have created a player profile with level difficulty and colour of suit (far too may to choose from though) you can select the campaign to start with. If you pick the first one, you start with a short training on how to use the controls. The ship you are on is being attacked, and as you attempt to find the escape pods, you have to use different skills, like pick up weapons, crawl, use a flashlight, etc. 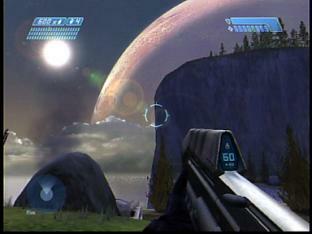 The beginning film is quite long, telling the story up to the game play, and are played in a wide screen mode. This is to make sure you don't try to move characters or play the game, as the graphic quality of the clips is the same as those in the game itself. When you escape the ship you land on a planet, and this is the second campaign you can start, effectively missing out all the training. The graphics look stunning, with blue skies, grass, trees and mountains and there is no drawing of elements in the distance that suddenly appear, as I have seen on games of these types on a PC. Controlling you character can take some time to get used to, as all of the buttons are used. I spent a long time referring to the controller guide in the manual. 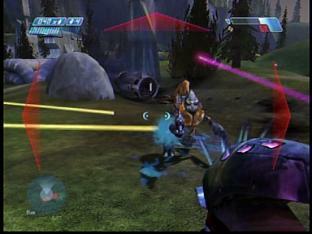 The recoil action from the rumble device was very good, giving the effect of the ship vibrating when it was being attacked, and when you use your weapons. You don't have to be too accurate with your firing, and checkpoints are automatically saved, so you don't have to start the level from the beginning if you get shot (or fall over a cliff, which I managed to do a couple of times!). Several Head-Up displays aid your game play, as well as an onboard assistant. You can spend a long time looking around for something if you missed an instruction, and the levels progress through the storyline. Music plays an important part in the game, as you can tell when something is about to happen when dramatic music starts to play in the background. The sound effects are particularly good as well and your marines talk to you, even saying "yikes!" like a Scooby Doo cartoon when they spot an alien. This game can become very addictive. This racing game takes you to street circuits in London, New York, Tokyo and San Francisco with a variety of cars (although only three are available to start with). You start by selecting a driver name, design of helmet (the choice increases after every hour of play), licence plate style and licence plate text. It is here that you can name a driver Nosliw to unlock all the tracks and cars, and there are probably some other cheats you can use here as well, as there are several web sites with this sort of information. There are five main game modes, Quick Race (race through checkpoints against five other cars to earn medals and Kudos points), Arcade Race (navigate cone gates on the course to earn Kudos points), Time Attack (post the fast lap on one of the 200 circuits when driving any unlocked vehicle), Kudos Challenge (race through 12 levels and nine different types of races) and Multiplayer (race other human opponents in a split screen race). The cars look very realistic, the replays at the end of the game are so good that sometimes you cannot tell you are watching a video game, you think you are watching a real race. The Kudos Challenge mode has different race types, like fastest average speed, fastest lap, one-on-one, overtake, street race, timed run, top speed and total laps. For every car slide, cones passed, handbrake turn, overtaking, two wheels or all wheels off the ground you earn Kudos points, and the more you score the better. The high score table is based on these, and extra cars, designs and circuits are unlocked with the points you score. A VW Beetle can be yours for only 1000 Kudos points, but a Lotus Exige requires 50,000 Kudos points. 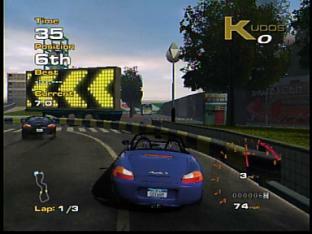 You can unlock new game types, like the free roam, where you race around an area that does not have a specific track to knock down cones in a time limit. This is a much easily option than navigating the cone gates and it seems a shame that this is not a standard game type. Some of the tracks are very dark, and grey. Most are within a city, and the shadows from the buildings make it difficult to seem where you are driving. 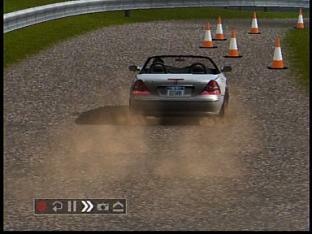 You can set the time of day and weather conditions, but only for the time attack and multiplayer options. Day can be anything from midday to dusk, and it can be very frustrating not being able to see where you are going, and you don't get an option to turn your headlights onto full during the day. 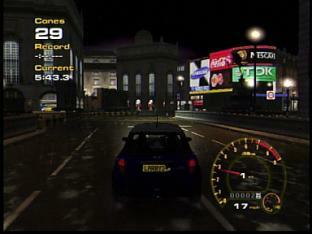 The fog and rain settings are realistic, and doing a time attack at night in the rain around Trafalgar Square is fun. The Head-Up display can get in the way and distract you from the racing. It was a shame that the free roam game does not allow you to driver around all of London, as certain routes are bordered up. If you are in the St.James' Park route you won't be about to get to Big Ben, but you can if you select the Westminister map. The menu system is logically set up, but means that you have to back track to set items like the music. You can select from three different radio stations (simulated of course) in each city including Capital FM, or from a virtual CD. There are 65 tracks included, featuring songs from bands like The Gorillaz, Chemical Brothers, Iggy Pop, Stereo MCs, Eve 6 and Nebula. You can also select tracks from the Soundtrack feature to play in the background as well. If you prefer a steering wheel controller for this game you can buy a Steering Wheel & Pedals for around £38, or just a wheeling controller for about £10 less. The XBox does have some visually stunning games, but the high cost of the unit and the extras you need (to play DVDs, have two controllers and a game will be £300+£28+£23+£44=£395) overshadows this. The controller could be smaller to be more comfortable and some scenes in the games are just too dark to see any detail. There are some games on the PC that are also out for the XBox (like Max Payne), as the way they are written means it should be easy to convert games from the PC to the XBox. Some games are marked are XBox only, so Microsoft apparently do not plan to convert these to the PC (like Halo and Project Gotham Racing), which seems an odd decision, or maybe a ploy to make you get an XBox as in addition to your PC. The success of any console system depends on the games, and the two that I have seen are very good, apart from the odd feature or lack of feature. If it were cheaper then it would be a direct threat to the other consoles in the market, but only time will tell. N.B.Since I wrote this review, Microsoft have reduced the price of the XBox by £100, and offer customers who bought it at the original price the offer of £100's worth of games. w/streaming SIMD extensions 128-bit "Emotion Engine"
developed by Microsoft and nVidia 150Mhz Sony Graphics Synthesizer Art X 202.5 MHz Custom chip "Flipper"